DreamWoods2 is rated 3.8 out of 5 by 5. Rated 5 out of 5 by Mercime from Fun game all the way Great cute game. Don't be fooled by the sweet little girly stuff. Interesting puzzles, mini games. Rated 5 out of 5 by eysw from More More More Love this game! Needs more levels, just as things get really good you are done! I absolutely love the puzzles on the secret levels. It took me several times playing to really get to the point where I could solve them smartly. Please BF give us more of Dreamwoods or more like this. Ready with to buy! Once i start I just cannot stop. Lots of fun. I am still trying to beat my daughters score. Would be nice to know how I stack up against others. Why doesn't it give info on more players and not just four? More! More! More! Rated 5 out of 5 by WildKat1801 from Great Game Loved this game. It is challenging and has a great story line. 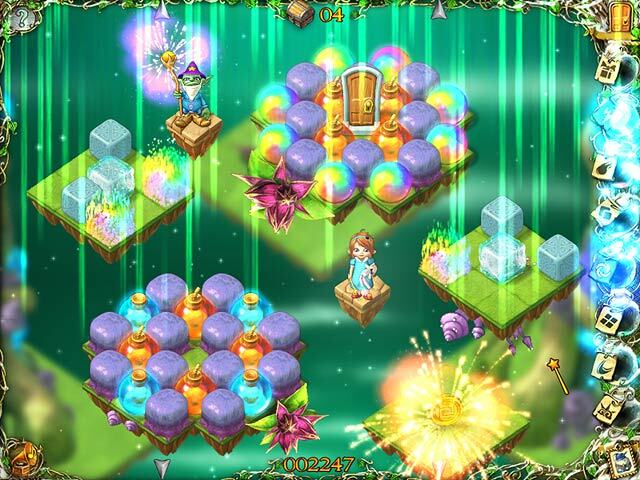 Rated 3 out of 5 by tehuti88 from DreamWoods 2 This review is based solely on the free trial. I loved the animation style, plot, and gameplay of this game...for perhaps the first one or two levels. After that, it unfortunately became far too difficult for me to enjoy. :( Although this game is listed as a "brain-teaser" or "puzzle" game--genres that I often stay away from as too difficult--it's also described as match-3, a genre I enjoy immensely, so I figured perhaps it was a crossover game/belonged in more than one genre, or featured enough match-3 gameplay that I could still enjoy it. And yes, it IS technically match-3 style. 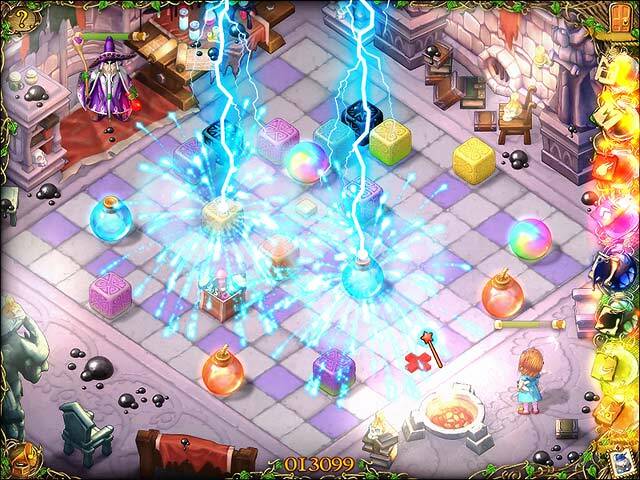 However, more emphasis is placed on strategic placement of what in a typical match-3 game would be considered powerups or bonuses, such as bombs, dynamite, magical resources, etc. And instead of simply matching three or more like objects and/or using a powerup to remove obstacles...you have to stop and carefully place every item just so on the gameboard to set off a sort of chain reaction that will remove all the obstacles in ONE move. I. e., you don't just blow stuff up until you clear a path or clear all the tiles...you have ONE chance to get everything in its place and hope that it's all positioned just right so you can clear your path. If one item is out of place, the path won't be cleared, and you'll have to try over. In short, think of this game as the match-3 equivalent of a Rube Goldberg-type machine. One action sets off another, which sets off another, until a goal is achieved. On the one hand, this should be a delight for people who love strategy. On the other hand...it's extremely frustrating for people like me who have trouble thinking more than a few steps ahead. You need to envision the ENTIRE chain reaction and how it will play out as you place your pieces, and I'm simply unable to do that. If I recall correctly, the hint system doesn't help you very much, just tells you you need to clear this or that to get through #which you should already know!# or highlights one of the devices without informing you of its role in the chain reaction...it doesn't tell you how to clear your way, or give you any of the steps, or tell you when you've done something wrong. Not even when you make the same mistake over and over, as I kept doing. So if you don't remember a powerup's specific function or properties, exactly what it's capable of doing, be prepared for a lot of hair-tearing frustration trying to figure out how to get it to work just right. #The frustration increases with each powerup used--you need to picture how the combination works in your mind!# That's not all, though...the moment you clear a path #"That wasn't so hard! "#, the bad guy reappears and can undo all the progress you just made...and clutter the board with even more complicated obstacles to overcome. ;_; I already mentioned the adorable animation, and the concept itself is highly innovative, which is why I wish I COULD enjoy this game. 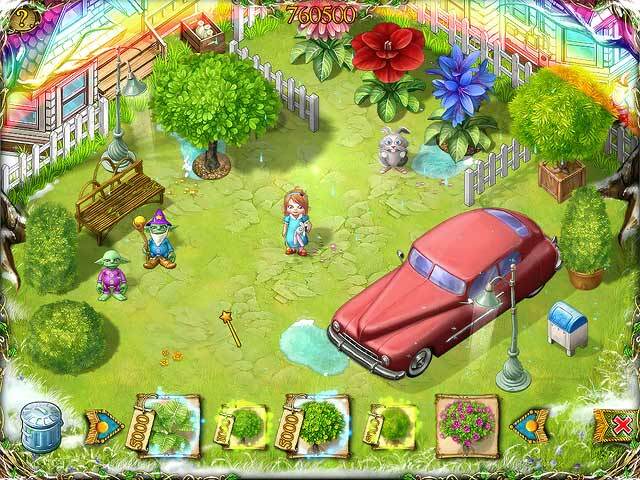 :# In addition, between rounds you get to upgrade the main character's safe place, a pretty little area in a backyard#?#, by buying trees, flowers, various accessories, etc....though some of the choices puzzled me. For example, the scene itself is summery, yet you can purchase snowfall...will the grass and leaf-bearing trees still be there? Also, one "upgrade" to the grassy lawn seemed to make it look patchy and bare...what's the point of that upgrade? :/ Aside from minor things like that, though, it was a pleasant-looking spot, and I would've enjoyed decorating it, if I could've only enjoyed the main game as well. I give this a three, as for me personally, gameplay #NOT the animation or the concept, both of which I loved# would be about a two #too frustrating#, but for people who are better at strategy it could be a four. If you like match-3, and you're good at thinking ahead or envisioning outcomes #again--think Rube Goldberg#, I'd suggest you give it a try. 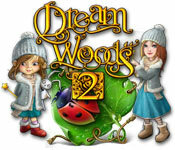 I obtained my free trial of "DreamWoods 2" directly through Big Fish Games. I ran this game on Windows 7 with no problems. Rated 1 out of 5 by arnold1049 from TEHUTI88 SAYS IT ALL I played 2/3 of the demo, got to level 4 and was totally stymied. I second everything reviewer tehuti88 says.